At Balise Toyota of Warwick, we believe our new inventory has something for everyone near Warwick, Providence, and Pawtucket. From sedans to hard-working pickup trucks, we’re sure we have the vehicle you’ve been looking for. Right now, you can lease or purchase a 2018 Toyota Avalon or a 2018 Toyota Tacoma from our dealership. If you think either of these vehicles is right for you, then make your way down to Balise Toyota of Warwick serving North Kingstown, Coventry, and Cranston today. The 2018 Toyota Avalon is a full-size sedan with more than enough space for passengers and cargo. It is powered by a V6 engine and the Toyota Safety Sense-P system. Other standard features include leather seats, heated outside mirrors, a rearview camera, smart-key access with push-button start a 7-inch infotainment system, and more. If you’re searching for a work truck, you may want to consider the Toyota Tacoma. For the new model year, each Tacoma comes standard with new safety technology such as a Pre-Collision system and Lane Departure Alert. It is also available in six trim levels and more than 30 configurations, so your options will truly seem endless. 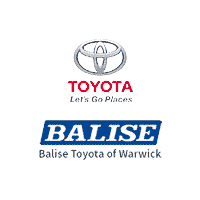 If you would like to know more about our finance offers or lease deals, then come down to Balise Toyota of Warwick today. We look forward to meeting you soon.